Anyone who has cycled through winter knows freezing fingers put you on the fast-track to a miserable ride. Not only can cold hands be downright painful, but they can affect your ability to control the bike safely. While winter may mow be winding down – February was practically tropical – many places are still very cold. That's why, as well as a more general list of the best cycling gloves, we’ve rounded up these, the best cycling winter gloves to keep warmth in and cold out on your next chilly ride. 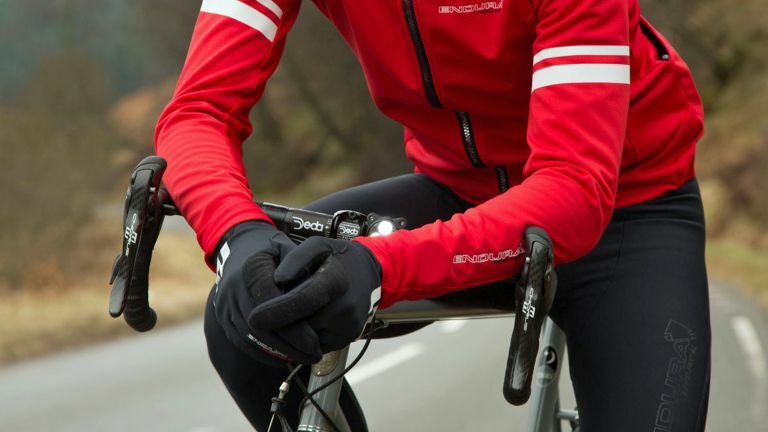 While the temptation might simply be to bung on the first pair of mittens you find in the drawer before you head out, it’s well worth investing in a set of cycling-specific gloves if you spend any significant time on the bike. First of all, they’ll be designed to handle the weather conditions typically faced by cyclists (whether that be a biting wind or driving rain), while also offering the grip and dexterity required to change gear and brake effectively. There’s more than one way to keep hands comfortable in unfavourable weather conditions, but the main things you need to consider are warmth (windproofing and insulation), waterproofing and breathability. Consider the type of conditions you typically encounter on the bike and decide what you need to prioritise. If you’re determined to get out whatever the weather – even torrential rain and plummeting temperatures – then you need a set of gloves with a windproof, waterproof construction. But that may come at the cost of breathability in milder conditions. If you’re more of a fair-weather cyclist, happy to ride when it’s a bit chilly but not when there are dark clouds gathering, you’ll favour a lighter set of gloves, which will in turn offer improved ventilation and lower bulk (improving your dexterity). On that note, pay careful attention to sizing: too loose and the excess material will bunch up, which can be uncomfortable and affect how much ‘feel’ you have through the gloves; too tight and you’ll restrict blood flow, so you might end up with numb fingers regardless, which sort of defeats the point of wearing gloves in the first place. The best way to find your dream winter cycling gloves is to consider each pair on an individual basis. We’ve rounded up the cream of the crop from across the big brands, highly rated and reviewed by cycling fanatics for their weather-beating abilities – but each one has a particular set of charms that makes it better for certain conditions. Castelli’s Estremo cycling gloves offer up a multi-pronged attack against winter weather and discomfort, giving them our top spot. First off, the hand features Windstopper X-Fast material for maximum breathability met with wind-stopping functionality, and is treated with a water-repellent finish to shuck rain and spray in wet conditions. Then there’s the palm, finished inside with brushed fleece for a plush, snuggly feel, and covered outside with textured silicone for grip. Awesome all round. These are truly multi-talented winter gloves, warming and wind-resistant for a comfortable ride. The breathable waterproof liner keeps chilly rain at bay, the tried-and-tested Thinsulate and Primaloft innards keep the warmth of your hands where it should be, and there’s even an internal zipper pocket for slipping in hand warmers. Oh, and don’t worry about losing a finger to frostbite while texting: these touchscreen gloves keep you connected and cosy. Win-win. If you’re worried about bulky winter gloves cutting down on dexterity or responsiveness out on the road, these waterproof cycling gloves might give you some peace of mind. As well as packing in Thinsulate insulation, breathable waterproofing and wicking tricot inside, these gloves feature a lightly padded gel palm for comfort while holding tight to the handlebars. Most importantly, silicone print palm and fingertips at the exterior stay grippy in wet conditions. The adjustable elasticated wrist ensures no heat escapes, too. If you had your eye on the wind-stopping capabilities of our first choice Castelli gloves but weren’t totally sold, these Gore gloves offer a slight break on the price with the same branded windproofing. If a fleeced interior sounds a little clammy to you, or you’re not planning to ride in sub-freezing conditions, these lighter gloves may be ample. Finished with DWR waterproofing to see off showers, they keep warmth up and clamminess down with an elasticated wrist and breathable construction, and ensure proper grip with a reinforced patch between thumb and forefinger. If you’re the kind of cyclist who mostly sticks to dry conditions, and who can handle cold weather but thinks twice when it’s sub-zero, then the Altura Microfleece Gloves might just be all you need. The microfleece fabric offers ample warmth for single-figure temperatures, with impressive breathability to boot. The windproof design helps keep a chilly winter breeze at bay, while smart touches include silicone detailing for grip and a tech-conductive finger panel so you can check T3.com without taking your gloves off. The Defeet E-Touch Dura Gloves are a lightweight option for milder winter, spring or autumn rides, when there’s a significant chill in the air, but you don’t need a fully-featured set of gloves that are only going to make your hands sweaty. The knitted yarn ensures the gloves are completely breathable and while they aren’t waterproof by any stretch, the material does retain warmth when wet. The thin construction makes grabbing a snack from your pocket a cinch (snack access is an essential consideration for any self-respecting cyclist), while the gloves are fully smartphone compatible. The low-bulk design also means these can be used as a liner glove in the coldest conditions or for other sports like running. If our previous pick was Singin’ in the Rain then these cold-weather gloves are more along the lines of The Day After Tomorrow. While they’re naturally a little bulkier than most of our other offerings, this looks to be a small price to pay for the superior protection in really horrid weather. Silicone finger grippers mean you can still change gears when things get slippy, fleece lining forms a soft but breathable layer next to the skin, and best of all, there’s hollow fill insulation, giving your hands their very own tailored down jackets to keep our the cold.